Least ethical company in the world? Guess which company came in worst of all in Swiss firm Covalence's survey of least ethical companies? Hint: it's Forbes' Company of the Year. Monsanto, the Missouri-based agriculture giant, ranked dead last in the Covalence ethical index. 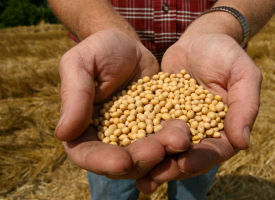 The company, which leads the world in the production of genetically-engineered seed, has been subject to myriad criticisms. Among them: the company is accused of frequently and unfairly suing small farmers for patent infringement. Worse than Philip Morris, Chevron, or Halliburton. Quite an accomplishment!